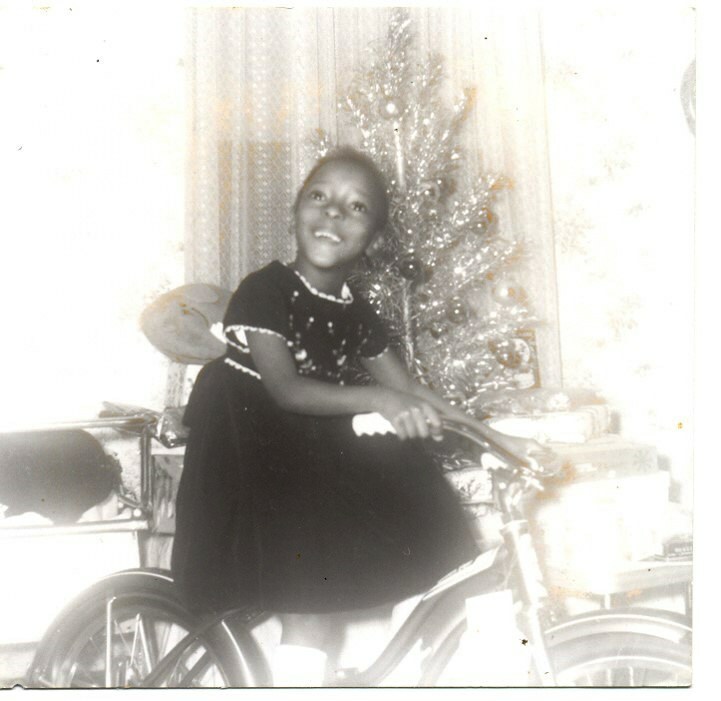 This photograph shows Betty Louise Williams (1959-2018) as a girl, sitting on a bicycle in front of a Christmas tree. Betty grew up in Richmond, Indiana in the 1960s and 70s. She became a leader in the self-advocacy movement, serving as president of both Self-Advocates of Indiana and the national organization, Self-Advocates Becoming Empowered. Barack Obama appointed her to the President’s Committee for People with Intellectual Disabilities in 2014. In 2016 she received the Champion of Equal Opportunity Self-Advocacy award from the National Association of Councils on Developmental Disabilities. Reproduced with permission. Further reproduction prohibited without permission.